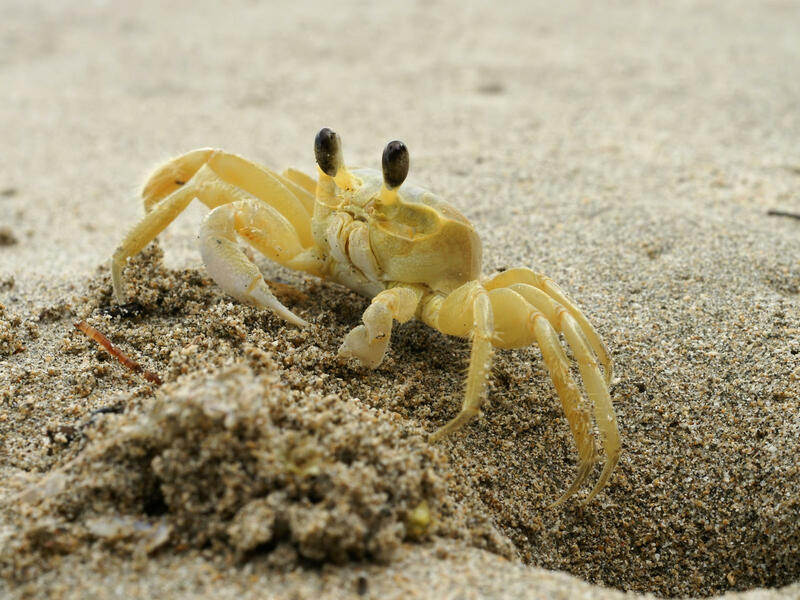 I was on vacation last week and spent a lot of time watching ghost crabs. They work very hard digging holes just above the shoreline. If you sit quietly you’ll see that some of them are very neat about their digging….pushing up big claws full of sand and tossing it clear of the hole they are digging. Some of them are not so efficient and drop the sand just outside the hole until it begins to tumble back in. Apparently this is the difference between youth and elder, and even between male and female. In every case, eventually a wave washes in, the hole is covered, and the whole process begins again. Seems like futility is built into the process. Regardless of your take on journeys, destinations and partners, there is a lot of process involved. Surfers paddle for hours to ride waves for a few seconds. Designers spend 5% of our time on big design concepts and 95% of our time on execution. Dinner takes hours to prepare, and my children are excusing themselves within 10 minutes of arriving at the table. So what’s my point? If it’s not about measuring the value of process over product, journey over destination, or even who is along for the ride, what is it about? It’s about being present for and enjoying the process. No matter what you do for fun or for a living, there is process involved. And parts of the process may seem futile or unnecessary or downright painful. But if 95% of everything is process, then we best find a way to enjoy it. Even the parts we don’t really like. If you have children you might remember when they were young and you spent your days wiping noses, quieting tantrums, changing diapers. Now that they’re teens (okay, speaking personally) it’s a whole new set of issues that fill my journey from morning till night. And I know that one day I will look back on this time with the same sweet melancholy that I do on the toddler years. My point being, enjoy it while it’s happening. Find patience when the process seems futile and the sand keeps falling back into the hole. Find comfort in the act of chopping onions even though no one will notice that there are onions in the chili. Find joy in the strength gained by paddling out. Find clarity in the conversations with clients who need help understanding. Can I help you on your journey to a better website, a smoother permit process, a fabulous restaurant design?